If you’ve browsed any social media sites recently, you have probably heard of the new super fruit Acai. The Acai berry, otherwise known as the Amazonian palm berry, is native to Southern and Central America. Acai berries are round with purple skin and a yellow interior surrounding a seed. These berries have been proven to have some incredible health benefits, and have become an important focal point within the health industry. Due to their short shelf life, Acai berries are normally sold as a frozen fruit puree, dried powder, or as pressed juice. They carry a large quantity of nutrients including antioxidants, dietary fiber, electrolytes, and essential amino acids. Aside from the amazing nutritional benefits, the Acai berry has many health benefits as well. They help prevent arthritis, inflammation, erectile dysfunction, obesity, heart disease, and cholesterol. It has been shown to protect heart health when eaten regularly. Many individuals have also reported an increase in overall energy and vitality. Improved skin health has also been noted, as Acai berries contain antioxidants, which are known to fight signs of aging altogether. It is rich in vitamins A, B, C, and E, offering revitalizing properties to your skins health, while also restoring lost moisture. Several studies have proven that consuming Acai berries regularly could help prevent several types of cancers, particularly colon and breast cancer. A study done in 2014 by NCBI claimed that Acai berries possess anticancer properties and might help in the development of chemo-preventive medication. Aside from all of these amazing nutritional benefits, the Acai berry is a delicious fruit that can be added into any morning routine. 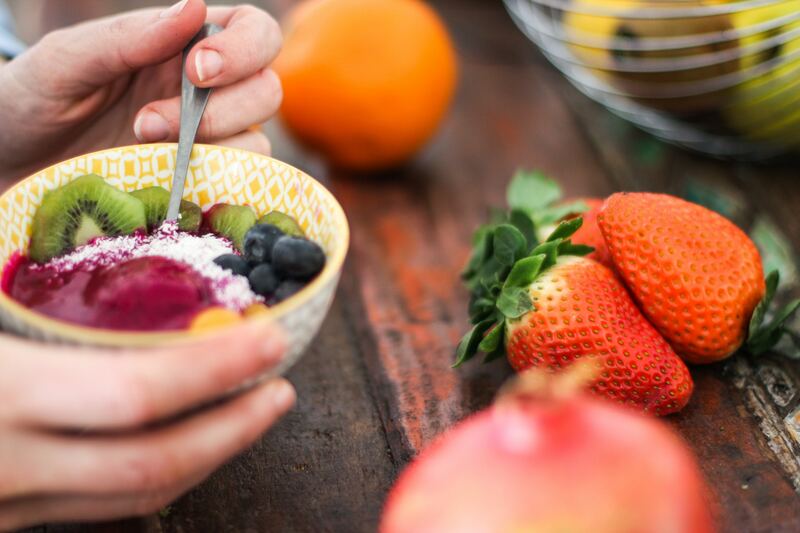 Due the popularity of the berry, it is very easy to buy the pureed version of the Acai berry and create a delicious smoothie bowl anytime during the day. In the mornings blending the Acai puree with berries, banana’s, and milk until it creates a thick but creamy texture, can be a delicious addition to anyone’s mornings. After pouring out the delicious smoothie into a bowl, you can top it with all sorts of fruits, nuts, and other delectable toppings of your liking. It has been stated that eating these berries in limited quantities is best, as your body will receive all the benefits it deserves in doing so. Consider adding them to your diet today, and love the results and wellness they provide! Contact us today to learn how Strategic Health and Wellness can recharge and redefine your life! “Acai Berry Boosts Skin, Brain + Weight Loss.” Dr. Axe, Dr. Axe, 26 Apr. 2018, draxe.com/acai-berry/. Group, Edward, et al. “12 Health Benefits of Acai Berries.” Dr. Group’s Healthy Living Articles, Global Healing Center, Inc, 6 Apr. 2018, www.globalhealingcenter.com/natural-health/benefits-of-acai/. Jennnigs, Kerri-Ann. “5 Impressive Health Benefits of Acai Berries.” Healthline, Healthline Media, 31 May 2017, www.healthline.com/nutrition/benefits-of-acai-berries. “What Is an Acai Bowl?” Milk Recipes and Other Healthy Breakfast Ideas, milklife.com/articles/breakfast/what-is-acai-bowl.